In 1917 a 9 year old boy came to America from Italy. His name was Philip Sorrentino. 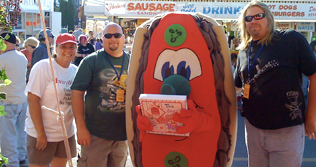 Fourteen years later, Phil took $80 he had saved and opened a hamburger and hotdog stand. He was originally going to call his stand “Phils Lunch” – however a friend suggested “The Brass Rail”. Phils philosophy was simple: good food, courteous service, and a fair price. By 1933 The Brass Rail had outgrown the stand. Phil moved into 1137 Hamilton Street. The new location featured a bar room, dining room, and a doggie shop in the front window. The Biggest year in Brass Rail history was in 1937. 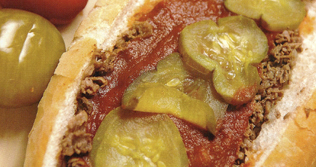 This was the year Phil introduced Allentown to it’s first steak sandwich. 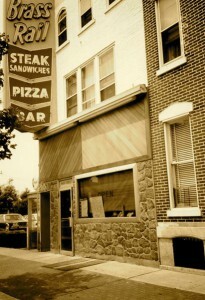 In 1961 Phil opened his second Brass Rail Restaurant at 3015 Lehigh Street. 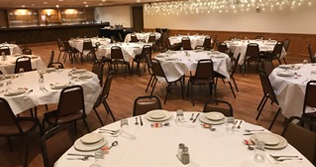 Although the original Brass Rail on Hamilton is no longer there, customers still flock to the Lehigh Street location, where Phil’s original philosophy is carried on today by his grandson… good food, courteous service, and a fair price.